Found 2 file extension associations related to HyperMaker and 2 file formats developed specifically for use with HyperMaker. 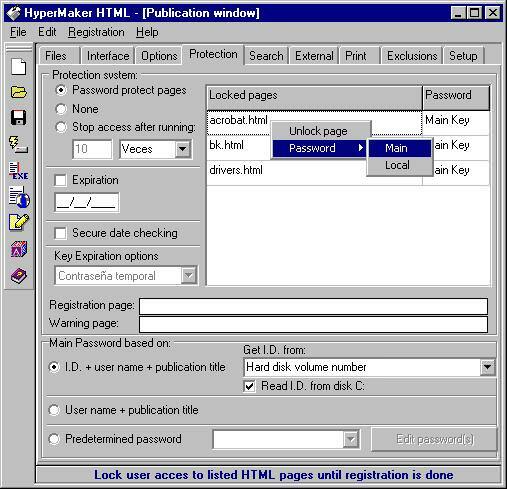 HyperMaker transforms HTML documents into self-contained publications or eBooks that do not require a browser (it doesn't use Internet Explorer but is fully stand-alone) and can be used without previous installation. HyperMaker supports most of the HTML 3.2 specifications with many additional popular HTML 4 enhancements. The publications support not only text and images but also MPEG, Flash and Acrobat files. Moreover, any other kind of files can be included. The HyperMaker software seems to be old or discontinued. If you need more information please contact the developers of HyperMaker (Bersoft), or check out their product website.